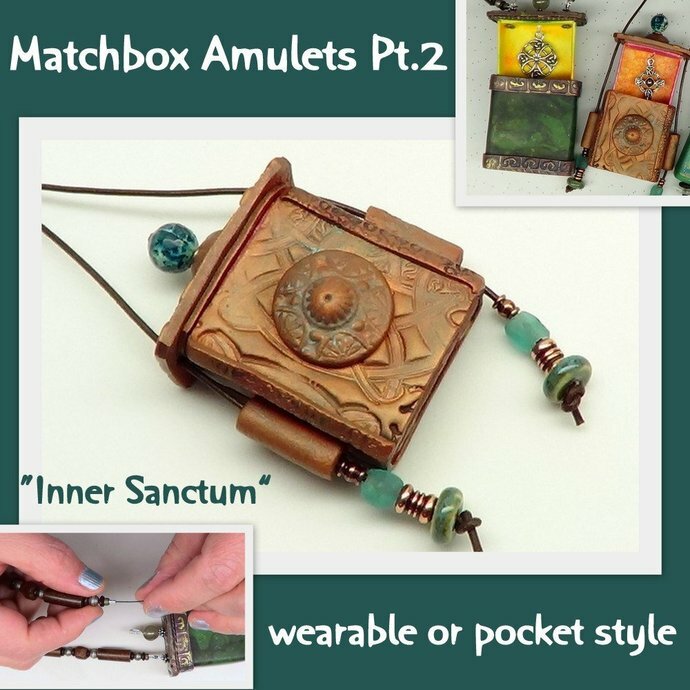 Create a pocket or wearable amulet. 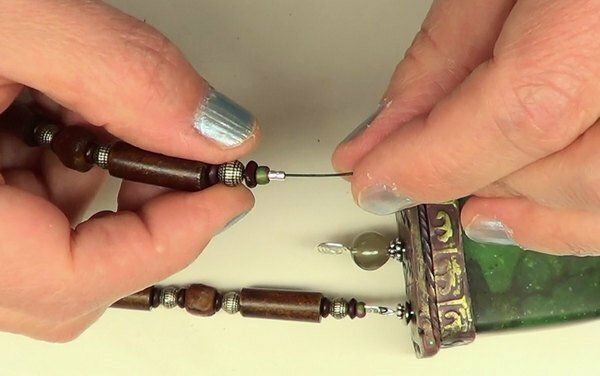 The Focus in this tutorial "Inner Sanctum" will be decorating the handmade boxes which have already been painted, so those steps are not repeated here. 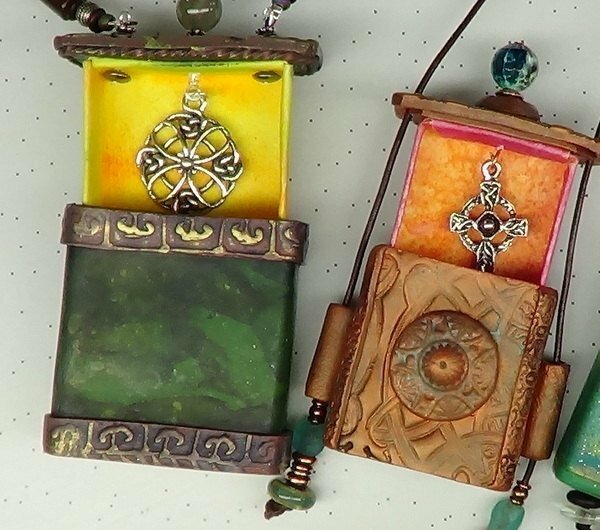 Inner Sanctum Amulets covers more in depth the finishing and personalizing of boxes, covering the box with polymer clay, applying textured elements, antiquing, a couple of stringing and beading options, adding decorative wire and bead elements, as well as personalizing the inner part of the box. This tutorial is packed with 71 photographs, 21 pages and 67 easy to follow steps. Recommended for intermediate to advanced. Please respect the copyright of artist and do not share, copy or loan tutorial.